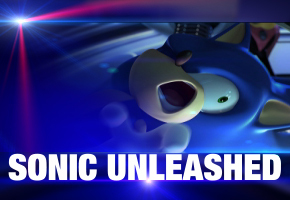 For all the secrecy and saving face Sega is trying to accomplish following the leak of Sonic Unleashed to the Internet, there still is a lot of new information coming out about the not yet announced Sonic Unleashed. Tonight, we’ve learned prominent game retailer EBGames is already taking pre-orders for the game. The retailer has dated the game for November 4th. In addition, EBGames is taking pre-orders not only for Wii and XBOX360 editions (which we exclusively confirmed being in development early yesterday morning) but also for Playstation 3 and, interestingly, the Playstation 2. On the one hand, the assumed inclusion of PS2 all but assures Wii faithful that there will be at least a decent translation between it and the other versions. Initial fan fears were that a more watered down edition from the XBOX360 would end up on Wii. On the other hand, that raises a new set of concerns for XBOX360 owners at least, who have a right to wonder if, visually, Sonic Unleashed will be up to the console’s capabilities.